ALPHA OMEGA Management is extremely delighted to announce the signing of BILL HUDSON, who now takes part of Alpha Omega’s new Service Branch, dedicated to the needs and interests (Booking, media, communication, promotion) of session musicians and solo artists! Currently Bill is on the extensive “Back to the Roots, Part II” tour in Europe with DIRKSCHNEIDER, whose new guitarist he is since April 2017! Los Angeles-based guitarist/songwriter Bill Hudson (DIRKSCHNEIDER, TRANS-SIBERIAN ORCHESTRA, I AM MORBID, Circle II Circle, Jon Oliva’s Pain and more) has become a very sought after name in the hard rock world in recent years. Whether he is in Germany headlining the biggest heavy metal festival in the world or in the studio recording guitars for a video game soundtrack, there’s never a dull moment in the life of the Brazilian musician. In the summer of 2015, he made history in Germany, headlining Wacken Open Air, performing in front of 80,000 fans with the TRANS-SIBERIAN ORCHESTRA. Hudson joined the TRANS-SIBERIAN ORCHESTRA also for their winter tour in 2015, performing 52 shows in 6 weeks throughout the US and Canada for an average of 15,000 fans a day. In April 2017, DIRKSCHNEIDER announced Bill Hudson as their new guitarist, currently they are on extensive “Back to the Roots, Part II” tour in Europe, which concludes just before Christmas 2017. 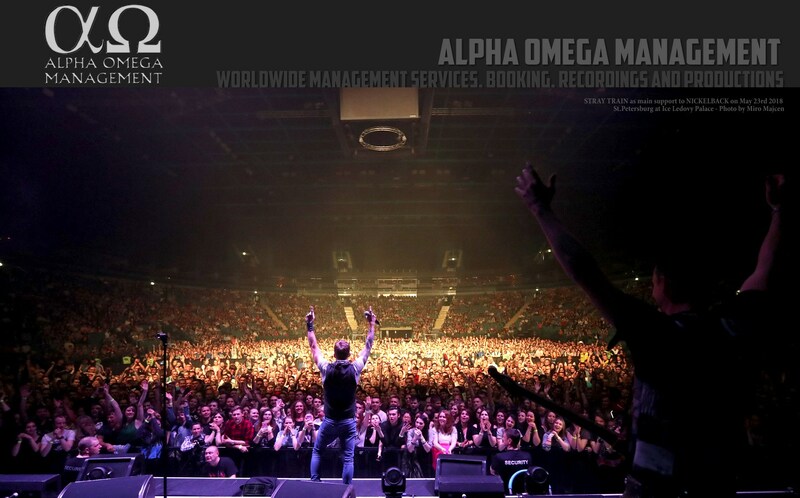 Next postALPHA OMEGA Management and METALHEADS FOREVER Announcing the Birth of Their Worldwide Management Network!